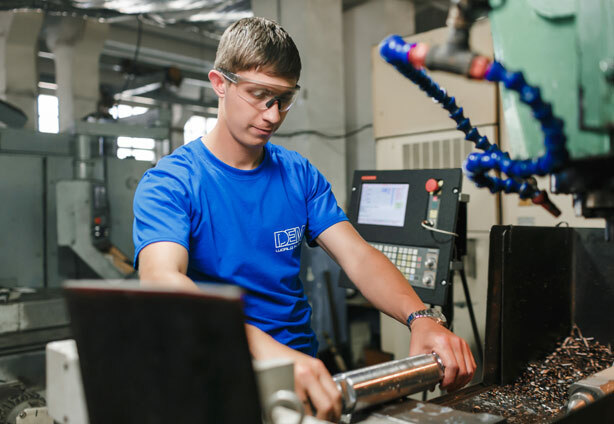 For the moment, Dnipro electrical and mechanical plant LLC is focused on producing part series of a vast range of materials (carbon, stainless, heat resistant, nonferrous steels and cast iron) with specified strict requirements for surface precision and roughness. – flaw detection by ferromagnetic materials. We invite enterprises to place their orders under conditions of subcontracting, industrial outsourcing. Production of components and parts according to license agreements with the developers. Export of goods to countries of Europe and CIS. Representative offices in Moscow, Bryansk, Samara, Latvia, Lithuania, Kazakhstan, and Belorussia. We are not afraid of difficulties: we want to expose ourselves to new things and to implementation of joined projects. We anticipate long-term and mutually beneficial cooperation!